The widget is an extremely versatile template, allowing you to place it on any page, inside of blog posts, and even on a Facebook page tab. In addition, the widget style is the second highest converting format that we offer, with conversion rates on average between 25-45%. 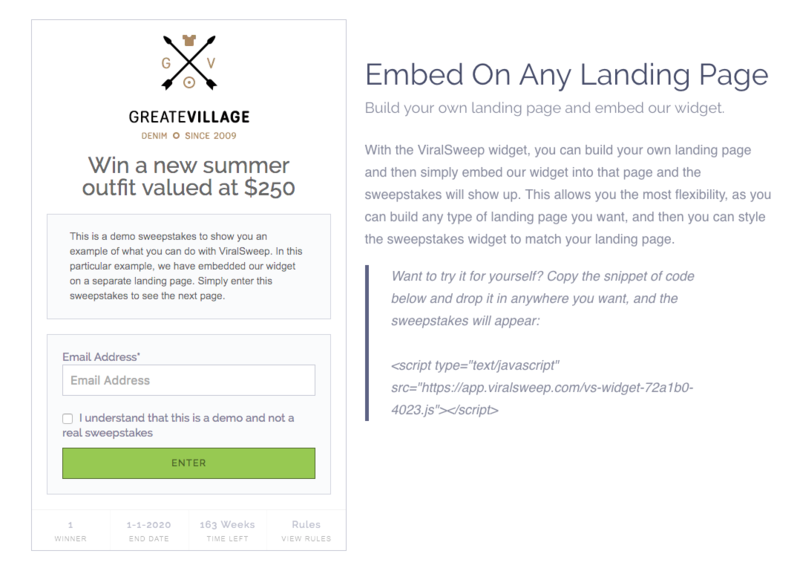 Still having trouble with our widget template? Simply click the support or live chat icon to get in touch with us.